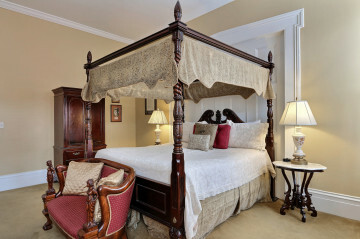 Set back in the heart of the historic district in Savannah, Georgia, Presidents’ Quarters Inn is the perfect place to experience the energy of the city. If you want to get away from it all for a while, take a trip to the Wassaw National Wildlife Refuge. This primitive barrier island located off the coast of Georgia offers year-round recreational activities like wildlife viewing, photography, hiking, biking, and fishing. If you’re looking for adventure, a trip to Wassaw Island is a must! Here are some of our favorite things to do there. If you’d like to see more places to explore around Savannah but don’t know where to start, take a look at our complimentary Vacation Guide! In it, you’ll find more outdoor spots like the Wassaw National Wildlife Refuge, the best restaurants in the area, historic sites, and more. This free guide has saved countless travelers form hours of research, so get your copy today! 20 miles of dirt roads and 7 miles of beach make the Wassaw National Wildlife Refuge an ideal place to go hiking and biking! You are welcome to use any of the areas open to the public. Be sure to bring a Trail Guide and stay on marked trails to minimize disturbance to plants and animals. Wildlife observation and photography is encouraged, so bring your camera! Travel through the perfect combination of white sand and lush forest; it’s the perfect place to get away from the hustle and bustle of everyday life and appreciate nature. Saltwater fishing is available year-round in the estuarine waters adjacent to the Wassaw National Wildlife Refuge. You can cast your line from the beach from sunrise to sunset! However, keep in mind that freshwater fishing is prohibited, and all saltwater fishing is subject to state fishing regulations. The Wassaw National Wildlife Refuge is the perfect place to become one with nature. Not only does the island landscape become more beautiful with every step you take, it is also full of wildlife. Alligators, deer, feral pigs, and a wide variety of birds can be found here. Over the years, birdwatching has become very popular, especially during the spring and fall migrations. Wassaw Island is also an important nesting spot for loggerhead turtles; every year, they return to the beach to bury their eggs. A conservation program is in place to help ensure the turtles’ breeding is successful. Volunteers collect data on the number of turtles hatching and move unsafely positioned eggs to better parts of the beach. Keep an eye out for turtle tracks in the sand! Sundial Charters offers year-round tours of Wassaw Island. Sign up for one and enjoy some of the best bird watching, shelling, salt marsh ecology, dolphin viewing, and beachcombing that Georgia has to offer! The refuge is open daily to the public during daylight hours and is accessible only by boat. If you don’t have your own boat, The Presidents’ Quarters Inn will happily make reservations for you with a charter service! Presidents’ Quarters Inn is the perfect peaceful retreat to come back to after a day full of adventure. Whether you are exploring the Wassaw National Wildlife Refuge or walking the streets of Savannah, you’ll love coming back and relaxing in our cozy accommodations. Enjoy a glass of wine in our spacious courtyard or retreat straight to your room to rest up before tomorrow’s excursions. We look forward to seeing you at Presidents’ Quarters Inn! Why Rose Hill Plantation House Is the Perfect Day Trip — What Are the Most Fun Things to Do in Savannah When It Rains?